The accompanying “press release” says the threatened closure is due to forced savings at the CRA, even if those same savings are pretty much doubtful (premises are free of rent, and the Italian Ministry of Agriculture and Forestry has pledged to pay all CRA-CMA costs). Signatures against the disappearance of the historical collections of CRA-CMA are being collected since Oct 2, but the hoped-for 5,000-signatory target is still far away. There is also a Facebook group (in Italian) where to show one’s support. More details about CRA-CMA from the “press release”: the library, known as “Central Italian Meteorological Library”, boasts more than 40,000 rare and valuable Italian and foreign texts of meteorology and geophysics, some dating back to the 1500s; the area has played host to famous scientists who have made the history of meteorology (Galileo Galilei, Father Angelo Secchi, Enrico Fermi). There is also a collection of highly-valued rare and prestigious historical seismographic and meteorological instruments. CRA-CMA still manages a network of weather stations located throughout the country. The historical archive of weather data is of unique importance (with six million data points for each observed weather variable) and is one of the few in the world with multi-centennial meteorological and climate data series. “Such data are key for the undertaking of climate studies aimed at land use, agrometeorology, renewable energy sources and energy saving. 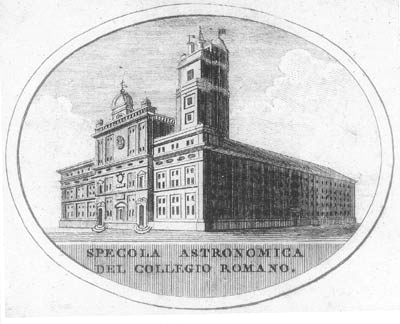 “To this day, CRA-CMA’s Rome Meteorological Observatory’s unbroken series of centuries of weather reporting remains of paramount importance for the study of climate changes in the city“. Q: You take care of more than a century of continuous weather observations, recorded year after year in the “bulletins”. What can you tell us about climate change? Are we really going towards a catastrophe? A: Actually, regarding the “global warming” issues, our data tell us that the temperature in Rome has increased 0.8C during a hundred years, i.e. less than a degree. That’s very little really. 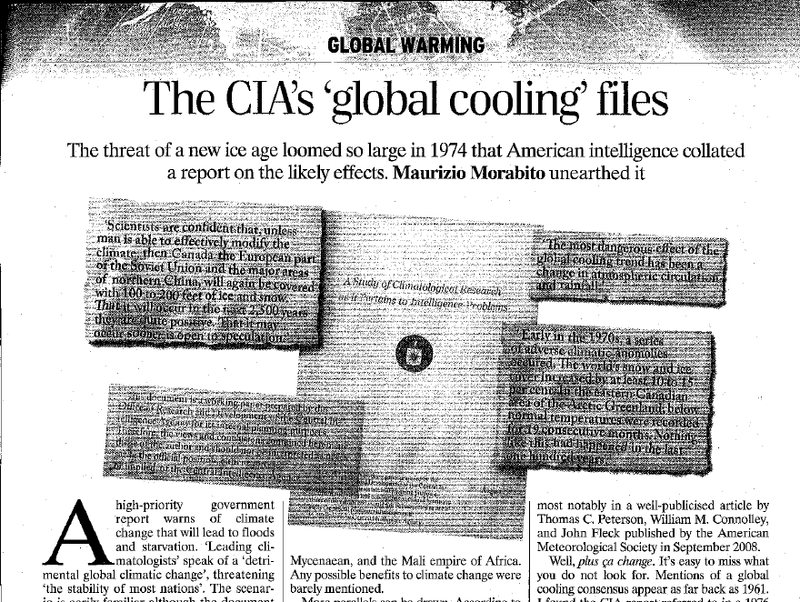 Historically Earth has seen long cold and warm periods (we are talking about years and sometimes centuries). Over the past twenty years, for example, we have experienced a warmer period and it is therefore quite normal that temperatures have slightly increased. This does not mean that temperatures will go up forever. Indeed, it is very likely that in a few years they will start going down again. 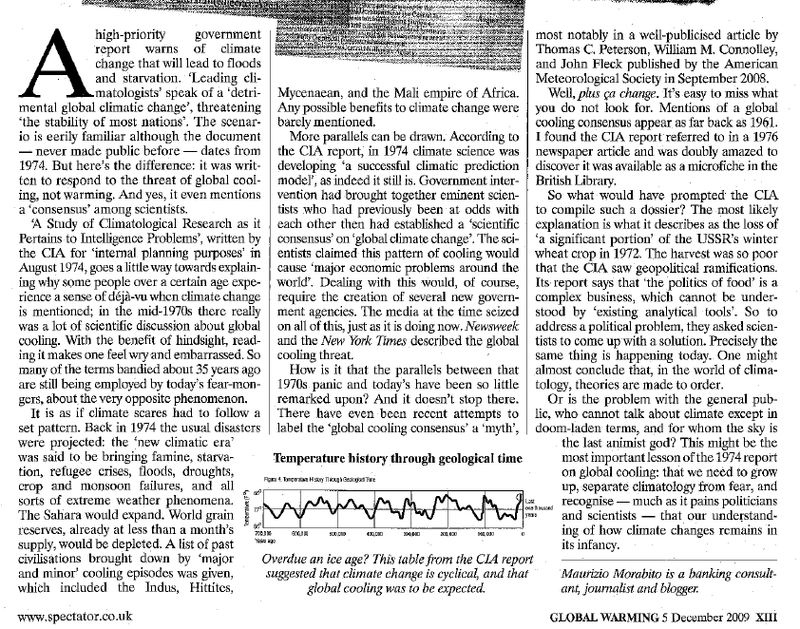 Unfortunately a kind of excessive alarmism bases itself on the application of mathematical models to meteorological data, without including a proper analysis of the past. About rainfall, however, the last century has certainly seen a decrease. In Rome, it rains now far less than in the past and this better be considered before embarking into exaggerated alarms, for example, about future floods of the river Tiber. With rains like we get nowadays, and the protections built on Garibaldi’s inspiration, you can be sure that the Tiber in Rome will not overflow again. The analysis of air temperature data covering a period of 12 years (1964-1975) in a meteorological station network situated in the low Tiber Valley, shows clearly the effect of the heat urban island due to the city of Rome. This effect occurs with different intensity according to the seasons and to minimum and maximum temperatures. Please do sign, and ask people to sign, the online petition to save CRA-CMA.